Home» Android » How to recover lost data from android ? How to recover lost data from android ? 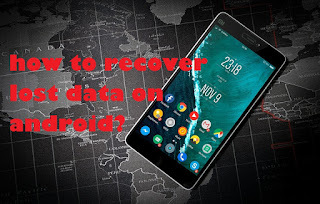 Hello guys , In this post today’s I am going to show you “ how to recover lost data from android phone?” Friends, today's era of Android phones is going on, today everyone has an Android phone. At times it may have happened that your phone's data (image, video, file, music sets) has been deleted from anyone, it can also be from you. 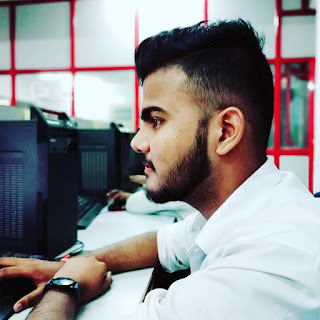 So friends, what will you do in this situation, Today I will tell you about this trick, just keep reading this post till last, you can easily recover your android phone data. If you follow the procedure described here correctly, then you will not have any problem. When we delete some things from our mobile, then they are not completely deleted in the Actual, you will find that the deleted has been done, but rightly, they are saved as a recovery file in your mobile. The most important thing to use this trick is that your phone is rooted, Because the file that we delete goes to the system folder of our phone, you can not access the system file without rooting the Android phone, for that we have to root our mobile. Rooting mobile is not a big deal, if you are in touch with technology then your phone must be rooted. Friends, first of all, you have to install a software on your Android phone, which is called Disk Diger, download it from Google Play Store. STEP1; Friends, you have installed this software on your phone, you can open it. STEP2; If your phone is not root, then this software will recover your image only, so you have to root your Android phone. When you open this software, you will be show to the root permision, then click on Allow. STEP3; Now select the memory data that you want to recover, I have selected your phone memory here, it can also be a SD card in your case. Lost data on your phone has been scanned, just tick the file you need. Guy, I thought this software was good because you can recover date-wise data in this software. STEP6; Now you have selected the scan data, you will see a window, it will show three options, click on the one you want to save the recovery data. STEP7; As I want to save my phone recovery data in the phone's storage, it can be something else in your case. STEP8; Now you get the exit, your phone's deleted data has been successfully recover. Now go to your phone's gallery, and you can see the recovery data there. Like a friend, for some reason the method given above is not working or the software provided above is not supporting the model of your phone, so there is no reason why you need not be disappointed. May be. Friends have lots of data recovery software which can recover your phone's data. I'm telling you some software names below. You can do these softwares, it is easy to do it as I have told you in the above method, it will change in just a few user interfaces, and the rest is same. You can download these softwares very easily from the Google Play Store. Now here is the end of the article this is overall information for you . so you can easily convert your android into a hacking machine. Don’t forget to share this post. share it on facebook or any social sites . Thank you so much.